Our Guest 5 Butterfly Milky Way Soap Mold creates five guest-sized bars with different butterfly designs. This mold is perfect for Easter and spring baskets. 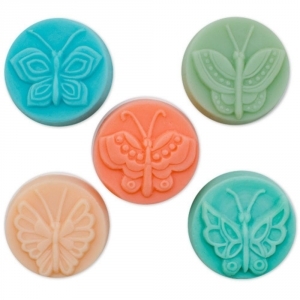 Notify me when Guest 5 Butterfly Soap Mold is in stock.